A marketplace & community for venues to offer services to members and for members to make a commission when referring venues to their friends. Create a free listing for your venue (limited offer). 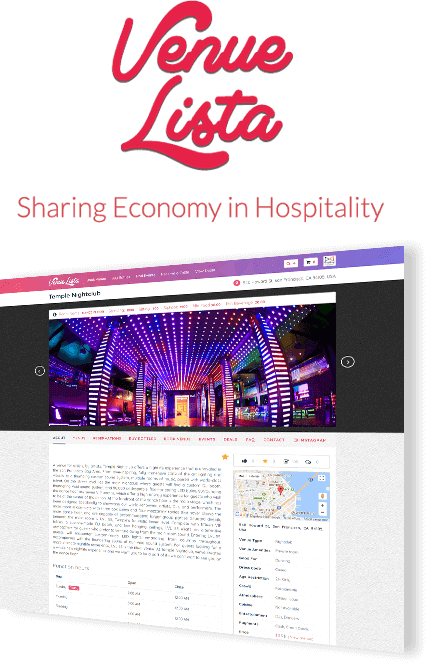 Boost venue exposure and generate new bookings constantly. Execute on all bookings from 1 management system. View promoters, reservations & sales reports. Receive payments on your bank account instantly.